This Brocock .177 caliber “Enigma Ratti” looks new but is in fact second hand. 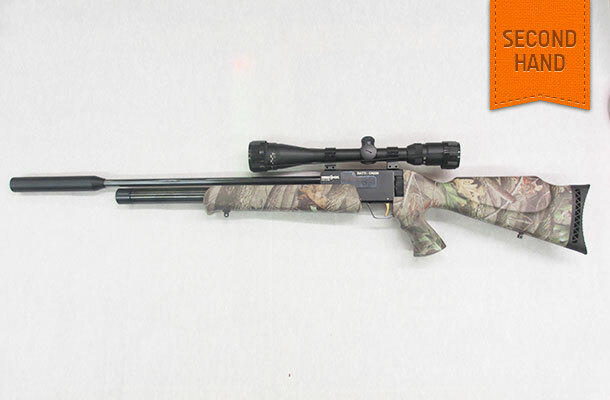 We find these guns to be extremely reliable, solidly built and well fitting. Features include – camouflage finished stock, 4 – 16 x 50 zoom parallax adjusting illuminated reticule scope, 10 x shot magazine and sound moderator.